The one stop shop for everything you need to live your healthiest, happiest and most successful life. Missed the live interview with Dr. Alex? Listen to the replay now! Are you beginning your healing journey and looking for a low-risk way to try The Healing Codes or an affordable way to access all of Dr. Alex’s core methods? 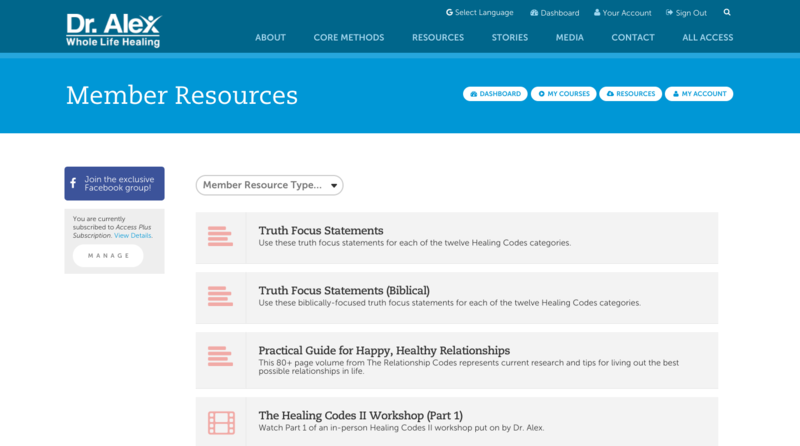 Are you a follower of The Healing Codes looking for brand new content from Dr. Alex, the most up-to-date health-related content, and ongoing resources for your healing journey? Do you want to be a part of an exclusive community of people all committed to experiencing whole life healing and supporting each other along the way? Dr. Alex All Access is your one stop shop for everything you need to live your healthiest, happiest and most successful life. When you become an All Access member, you’ll get access to all of Dr. Alex’s core methods, new courses every month and a library of health resources that you can’t find anywhere else! Plus, you’ll get special members-only benefits and discounts, a members-only newsletter with custom codes from Dr. Alex and a community of others to support you in your health journey! All for a low-cost, no commitment monthly subscription! Over the last 15 years, I’ve had the privilege of helping millions of people reduce stress, remove barriers and overcome the issues that have kept them from experiencing life to the fullest. From health to relationships to success, my core methods dig deep into the root cause of what is holding you back and help you heal emotional, physical and spiritual issues from the inside out. In this, my goal has always been simple: to help as many people as possible live their healthiest, happiest and most successful lives. After talking with and listening to countless of you, I began to see a need: there were people who wanted to experience whole-life healing, but they felt like they didn’t know where to begin. They wanted access to all of the Core Methods, but could not afford the up-front investment required to purchase them all. On top of this, we heard from many of you who have been practicing The Codes for years, but you want to continue your healing journey. You shared that you were eager for new content, resources on a variety of specific issues, up-to-date research and ideas on health trends, and access to myself and other experts in the holistic health field. Dr. Alex All Access was born out of these needs: to make life-changing healing methods accessible to as many people as possible and to create a resource where you could turn daily for resources, content and tools for your healing journey. 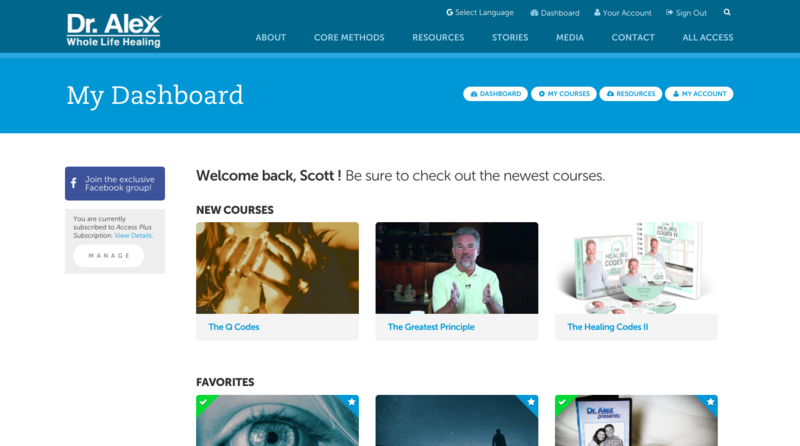 Here you will find new courses as they are released; a massive library of healing resources you can’t find anywhere else; all the Core Methods content to begin or refresh your practice; plus tons of custom codes, special discounts and bonuses. Additionally, we want this to be a supportive community of people who are committed to growing and healing together. As members, you’ll be able to ask questions, share your experiences and support each other in ways you never have been able to before. Plus I’ll personally be in checking in to the community with members-only newsletters, custom codes and brand new content! If you’ve never experienced The Healing Codes, I encourage you to give All Access a try. It’s completely no-risk and an amazing way to begin exploring the methods that could change your life. And if you’ve been on this journey for years, I invite you to go deeper with me and with others as we strive to become the healthiest, happiest and most successful we can be. 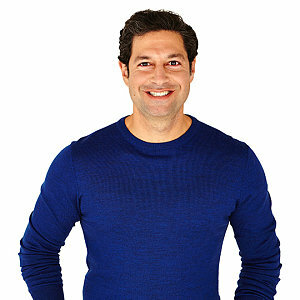 As an All Access Member, you get access to tons of life-changing, exclusive content from Dr. Alex and other leading health experts; a community of others to support you on your healing journey; and tons of special bonuses such as discounts, early access to new releases and newsletters from Dr. Alex himself. UNLIMITED access to this for as long as you’re a member! And you get all of this with no up-front cost or long-term commitment. For a low monthly fee, you can subscribe to access this content whenever, wherever and however often you need it. It’s like Netflix for The Healing Codes. This is the ONLY place to get all of this content for this price + there is content you will ONLY find here! Dr. Alex Loyd is, in my opinion, one of the leading energy medicine experts in the world whom I admire and respect. He has the singular ability to explain energy medicine in elegantly simple, but profound, terms that allow most people to appreciate why it's the next frontier in medicine. 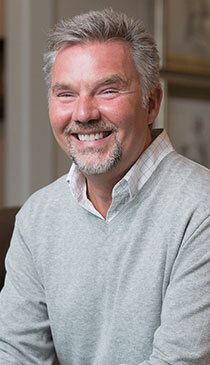 I've known Dr. Alex for 12 years and been an avid user of his Healing Codes program. I thank you for your part in my healing from breast cancer 10 years ago! Without the Healing Codes and I would never accessed the deep core of shame at the root of the disease. I did walk through this challenge in JOY and not grief! I was introduced to The Healing Codes by a friend, and I have to admit that at first I was a bit skeptical. Once I heard and read the amazing testimonials of changed lives, and found out that The Healing Codes system was discovered after twelve years of prayer, is completely in harmony with the Bible, and is steeped in science, I wanted to learn more. Shortly thereafter I had the opportunity to spend time with Dr. Alex Loyd. If I had any doubts, they were erased: Alex is a walking testimony to the system he developed. Not only has Alex facilitated his own family's physical and emotional health breakthroughs, his compassion for those in need and willingness to help people at all costs make him unlike anyone I have ever known. Alex is one of the most contented, giving and peaceful men I have ever met. I have watched Alex Loyd and The Healing Codes dramatically improve the health of friends and family, producing measurable results physically, spiritually, mentally and emotionally. What a great site! All this wonderful content in one place. It will be so easy for anyone beginning with THC to get everything they want. Friendly to navigate, awesome to have of Dr. Alex's work in one place! 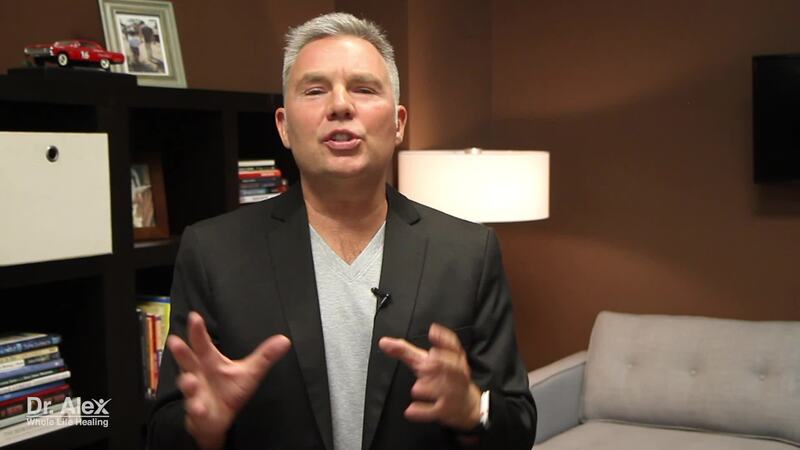 Get a sneak peek into the Dr. Alex All Access platform and see all the amazing resources you’ll be able to access as a member! Access in-depth online courses, including all the Core Methods and new courses released each month. 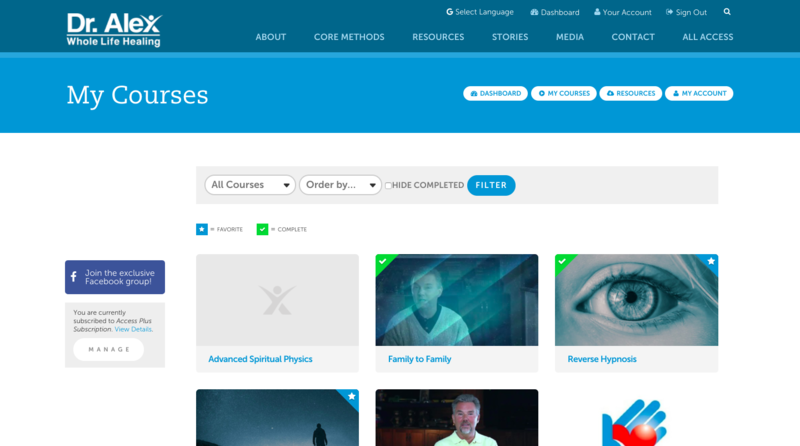 Courses combine video, downloads and worksheets and let you track your progress as you go. Explore an exclusive library hundreds of articles, videos, custom codes and teachings from Dr. Alex and other health experts. PLUS, as a member, you’ll get tons of bonuses such as early access to new products and workshops, special discounts and members’ only content and custom codes from Dr. Alex himself! Your subscription is a monthly subscription with no commitment required – you can cancel any time. You can cancel any time, but we do not prorate subscriptions. You will continue to have access until the end of the billing cycle, and after that, your card will no longer be charged for future months. Your subscription will be auto-billed using a secure credit card processing system on the first of every month. If there is a problem with processing your card, we will notify you to so you can update your card and unfreeze your access. How is this different from LT3? LT3 is a “lifetime program” that gives you access to all the Core Methods for life. For a one-time fee, you purchase all the Core Methods and own those products, similar to the home studies. Additionally, LT3 gives you coaching sessions with Dr. Alex during the class and ongoing coaching with practitioners for life. It’s an in-depth “own it” option with highly personalized, lifetime coaching to give you custom codes and advice for your specific needs. With Dr. Alex All Access, you are paying to access content. Your active subscription is what gives you access to that content. If you cancel your subscription, you will no longer be able to access the members’ area, its content and its benefits. 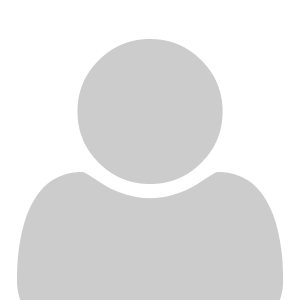 However, you can reactivate your account and pick up where you left off at any time. Yes! You can change plans at any time. Want more access? Upgrade! Need to save some cash each month? We offer lower-cost plans so Dr. Alex All Access is accessible for everyone. How is this different from the Core Methods home studies? Home studies cover Dr. Alex’s Core Methods, and they must be purchased one at a time, for a one-time up-front price. Once purchased, you’ll own the home study manuals and will not need to purchase again. Purchasing a home study is like buying a book or DVD – it’s a great option for someone who wants a specific product or wants to own the product. All Access delivers the same core methods content, but you subscribe to it for a monthly fee rather than buying it outright. When you terminate your subscription, you lose your access to the content. All Access is a great option for someone who wants content from multiple products and prefers to pay a low monthly fee. Plus, it offers brand new content released each month, so you’ll always have the latest from Dr. Alex! Choose the access level that’s right for you! Whether you’re looking for access to core content; want additional exclusive courses, resources and bonuses; or total access to coaching and more, we have the plan for you. You can change or upgrade your plan anytime! Are you ready to live your healthiest, happiest and most successful life? Don’t wait another minute to begin your journey toward whole life healing! Become a member today!